The year is 1983 and it was Christmas-time. If you’re old enough, you’ll recall there were lines – no, hordes – of people, waiting, clamoring and paying top dollar for… a doll. A Cabbage Patch Kid, to be exact.As one store manager put it “…people were grabbing at each other, pushing and shoving. It got ugly.” Dolls were nothing new, so what explains the hysteria that exploded during the Cabbage Patch Craze? What happened was a unique combination of viral, word-of-mouth, marketing and scarcity. There were only so many dolls made and a lot more demand than manufacturer Coleco ever expected. Couple that with the Christmas frenzy, and voila!! People were literally begging for dolls. A black market arose – dolls were going for $200 sometimes $300! 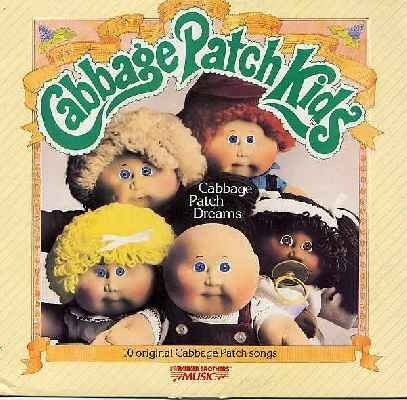 What do Cabbage Patch Kids have to do with us, here, today? It’s all about demand. It’s about that fairy dust, that magic potion, that elusive “something” that makes people WANT something really really badly. And it doesn’t just apply to dolls. Look around at some of the most successful people you know: Oprah, Donald Trump, Martha Stewart. Love ’em or hate ’em… you have to admit, they have strong brands that keep them in business. Do you think Oprah goes around “looking” for opportunities? Heck no!! Opportunities ﬁnd Oprah! Why? Because she has a strong brand that draws the right opportunities to her. In this day and age – an age in which Google has been called “the new resume”, having a compelling personal brand, both online and off, is CRUCIAL. What are YOU doing to build your personal brand? If the answer is “not much” then you are already behind – and it’s only getting worse as the pace of technology and innovation accelerate. I’ve recently done a LOT more speaking on this subject, and thought you might be interested in some of that content. Here’s a link to the slideshow from my most recent new speech “Shameless Self-Promotion.” Enjoy!! Recently I had an experience that taught me a lot about protecting myself and my business, and that I thought might help you as well. For years now, I’ve regularly shared my proprietary intellectual property for free online. I post slideshows, record videos and write blog posts with stories and advice for small business owners, all with the ultimate goal of delivering lots of value to generate exposure and drive referrals. I have often been asked “how do you prevent people from stealing your content?” And I’ve always answered the question by referring to one of my favorite fables. The way I see it, I’m like the goose that lays golden eggs: you can steal my “golden eggs” (AKA – my ideas, content and stories), but at the end of the day, I’m always one step ahead, producing more. In other words, you can take my content, but you can’t take my brain. As it turns out, I was naive. Instead of sticking my head in the sand and ignoring several red flags – people lifting my content and using it without proper credit – I should’ve safeguarded my intellectual property more proactively. Now that I’m working with a lawyer, I’ve learned that there are lots of ways to protect intellectual capital – from filing trademarks and submitting my work for copyright protection, to quickly addressing sticky situations rather than avoiding confrontation and turning a blind eye, confident that my “Golden Goose” theory was protection enough. While now I’m well on my way to being protected, I could’ve saved a significant amount of time, energy and heartache (not to mention money!) had I acted sooner. My point is: If you make money from your ideas, intellectual capital, proprietary systems, processes or content, then you, too, should consider protecting yourself NOW rather than waiting for a rude wakeup call like the one I got. Talk to a lawyer (if you want a referral to mine, let me know, he’s AWESOME) and find out what you can do to protect yourself. Consider what makes you different When determining your niche, you should think about what makes you different from other brands out there. Identify your primary product Think about what you have to offer others, whether it’s a service, resource, or special ability. Find out what your talents are Consider what your talents are, what you’ve been recognized for and what you’re better at than most people. Think about how others identify you Take a look at your brand attributes and confirm that your brand matches what others would say about you. Do something remarkable Instead of playing it self and sticking to what you know, do something that’s worthy of taking notice. Identify your core values Share what really matters to you in order to identify what your core values are. Be unique Don’t feel like you need to copy another person’s brand. Be unique and stand out. Think about your passions Identify the things and ideas that you love, and identify your passions. Ask colleagues and friends to sum up your professional image Get a true reflection of what you’re all about by asking others to define you. Physically make a message Write a paragraph and tag line that tells your story and emphasizes your specialty and talents. Share your message Once you have your message, be sure to actually share it with someone. Be authentic Don’t create a message that’s about someone else: be true to yourself. Control your message Don’t be too many different things to too many people. Stick to your primary message and focus on that. Find your target audience Consider who you really want to be talking to, and use your target audience to define what kind of presence you want to create for your brand. Know your audience Think about to whom you’re directing your personal brand, and communicate your messages appropriately. Use the right vocabulary Communicate with your audience using the right words from the industry so you can show your understanding of what’s going on. Use personal branding to establish yourself as a trusted professional in your industry with the help of these tips. Be useful In everything you do, take a moment to consider how you are being useful to others. Live what you say Have a trustworthy, transparent, and educated voice to build your credibility. Be trustworthy Be careful not to offer anything you can’t provide, and deliver on what you’ve promised. Believe in your brand Commit to and invest in the ideas that support your brand. Create a portfolio of successes Showcase your past work, get testimonials, and do whatever you can do show off how great you are. Find and share great content Create a buzz around your own personal brand by finding great content and sharing them with others. Create a visual hook Find a memorable visual hook that people will enjoy and remember you by. Find out what other leaders are doing right Find the experts and leaders in your profession, and see what they are doing to promote their brands. Cultivate a personal style Select clothing that represents you and makes you stand out from the crowd in an attractive way. Be a leader Lead by helping people, and use leadership to grow your influence. Get featured in the media Find opportunities to be featured in the media, possibly creating even more opportunities for exposure and credibility. Show your confidence Don’t be arrogant, but be sure to project confidence so that others will be comfortable with you. Contribute to Q&A sections LinkedIn, eHow, About.com, and lots of forums offer opportunities for sharing your expertise. Be a speaker Much more effective than just attending, speaking at events shares the opportunity for showcasing your expertise. Be consistent Make sure your resume, LinkedIn, and Facebook are all saying the same thing. Win awards First, do work that’s worthy of awards, and be sure to apply for awards in your field. This can bring lots of recognition and credibility to your personal brand. Take a writing class The way you write has a major impact on how you are perceived, so take a writing class to make sure you’re getting it right. Stay on top of trends Educate yourself and stay on top of newly emerging trends in your industry. Back everything up with proof Share objective proof to back up broad statements, using numbers, dates, statistics, and more. Toot your own horn Publicize awards, achievements, and anything else that’s remarkable so that people actually know about it. Keep personal branding from taking over your life with these tips that will help you streamline your efforts. Interact effectively Give yourself a time window for interaction so that you don’t spend all day networking and using social media. Determine where to invest your energy Building a brand is a major undertaking, and there’s only so much you can do in a day. Think about where you really want to invest your energy in brand building. Be brief State your value quickly and in bite sized chunks, or you run the risk of droning on and becoming forgettable. Maintain an online presence that reflects who you are with the help of these tips. Own your domain Register your name or unique URL to project a more professional image. Have a great website Your website is still like a virtual lobby, offering a jumping off point for your entire online presence. Learn about SEO Search engine optimization might sound a little scary and daunting, but in reality, it’s actually quite easy, as long as you’re creating quality content. Taking the time to do SEO right can make all the difference when making your brand stand out. Keep your personal and company brand separate Establish yourself as a person, rather than a company, so that you don’t limit the power of your personal brand. This is especially helpful if you may not be with the company forever. Be a polite emailer Check your grammar, etiquette, and writing skills so that you’re communicating like a professional. Pay attention to your email address Your email address offers a significant opportunity for building your brand, especially if you use your real name. Do your best to lock down your name online Whether you have a common name or an unusual one, put out as much quality content as you can, with your name one it, so that you can better control your online presence. Find out where you are online Do a Google search to check in on your online presence to see you you’re doing and if you need to make any changes. Monitor your online brand Carefully keep an eye on what is being said about you online, and make corrections as needed. Get connected and establish your brand with others by following these tips. Find relevant people Seek out the recommendations of colleagues, check out Twitter, and more to find relevant people that you should be connecting with. Join industry associations Meet up with people who can help you build your brand and career by joining industry associations. Be generous with your time Take time to do charitable work and go beyond the call of duty. Say yes more often Accept more invitations and go to more events, finding opportunities and taking advantage of ways to explore and experience. Have business cards Even if you don’t have a job, create business cards with your contact information to share with others who want to contact and remember you. Do your research Before any networking event, be sure to know who is going and what will be discussed so that you’re well prepared. Be accessible Let people know you’re out there, and that they can reach you on a regular basis. Don’t miss out on events Attend conferences, seminars, and other events to get out there and shake hands and meet other relevant people. Ask for testimonials Ask other people to recommend you for your expertise, and then be sure to publish what they’ve said about you. Be an active alumni Make the most of where you went to school by joining the alumni association and taking advantage of networking events. Show support for others Be passionate about helping other people when they need it. Get connected with passionate people Find other people who live passionately, and get together with them regularly for inspiration. Take guest blogging opportunities Extend your reach beyond your immediate network by taking opportunities to guest blog and share your expertise. Promote others rather than yourself Instead of spending all your time promoting yourself, take the time to point out what others are doing really well. These personal branding tips are especially relevant for job hunters. Work for free Your experience is worth its weight in gold, so when it comes to getting a job, any past experience can really pay off, even work you’ve done for free. Create a value statement Highlight your values and strengths to get the attention of a hiring manager. Put your resume online Add social features, photos, and more to your photo by putting it online. Quantify your results Prove your value by showing quantified outcomes. Follow these tips for great ideas in building your personal brand through social media. Carefully consider which tools you want to use If you can’t effectively use a social media tool, there’s little point to having it at all. A poorly managed social media presence can be worse than not having one in the first place. Listen up and stay in the loop Don’t be one sided: be sure to listen and respond to what others are saying. Fill out your profile completely Fill out all of the information fields to promote everything important about yourself. Go out and find new followers New followers will find you, but you can build your presence much faster by seeking them out yourself. Listen first See what others are saying on social networks, and even set up Google Alerts to listen in on how social networks are working before you get started with them. Engage and interact Participate in the back and forth of social media, engaging with others and interacting with content. Create multiple streams Be ubiquitous, creating an online presence on Facebook, YouTube, Twitter, and more, as many as you can reasonably maintain on a regular basis. Be adaptable Social media is constantly changing, so always be ready to adapt to new developments with a consistent approach. Don’t forget videos Video projects can pay off in a big way and offer a great way to really showcase your brand. Manage and optimize your social media systems When creating your social media accounts, set them up so that they can be automatically updated, pushing to your blog, home page, and more. Stay interesting Don’t just set up social media and walk away: keep things interesting by writing, sharing videos, photos, and more. Curate content like it’s fine art Think carefully about how you share links, news, and resources, curating your content like a museum director might select works for an exhibit. Use the same profile photo Make your online presence easily recognizable by using the same profile photo everywhere. Use a consistent name, too Build recognition by using the same name in everything you do online, preferably one that is close to your actual name or profession. Schedule regular posts Stay on top of your online presence with scheduled tweets and blog posts, so you always have something new to share. Think before you Tweet Be careful not to write anything that’s embarrassing or offensive, or anything you wouldn’t get away with in any other professional setting. Keep everything PG Be careful not to post anything you wouldn’t want your grandma (or potential employers) to see. Point to your social media presence elsewhere Promote your social media presence everywhere, on your website, blog, and even email. Bring offline relationships online Ask your “real life” friends if they are on Twitter or Facebook. Blog your voice on the web Blogging is a great way to find natural traffic without too much marketing effort. Don’t give away too much personal information Be careful not to over-share information or be inflammatory when building your brand. Make some accounts private If you feel the need to share things online that aren’t professionally appropriate, be sure to make those accounts private. My New Professional Speaker – “Sizzle Reel” is Out! !